Take a look at Charmean Neithart Interiors on Houzz.com and you will unintentionally find yourself dreaming of that next home makeover. This seems to be the effect of Charmean’s refined style; coupled with breathtaking professional photography, her designs are impossible to forget. Her emphasis on tasteful yet representative details certainly confirms that she knows how to translate her customer’s desires into reality. Native Trails talked with Charmean about her signature design style, her love of copper, and a few of her favorite things. NT: What is your signature design style? CN: Collected. My advice to clients is to focus on acquiring quality pieces for your home over time. These pieces become fundamental to creating a design that is truly a reflection of them. I work with them to create a space that elegantly unites all the elements. CN: I love walnut in the kitchen, ebony in the bathroom, and my favorite décor piece is a Persian rug. NT: Sounds divine. Tell us about one of your projects. CN: I worked on a Spanish house a few years back that turned out really fantastic. The homeowners were very trusting and open to ideas, which is really the key to any great project. We tried so many new ideas, it still feels fresh looking back on it. NT: You’ve used Native Trails copper sinks in several of your projects – what factors led you to select copper, and more specifically, Native Trails? CN: I love copper. The fact that it changes color just makes it more interesting to me. On the practical side, I really dislike black marks from pots and pans on the bottom of a white sink. This does not happen with copper. The color and rustic quality make so much sense for a purely utilitarian room like a kitchen or bathroom. Native Trails sinks are of the highest quality; your designs feel fresh and work in both traditional and modern settings. NT: You’re a contributing writer on Houzz, and you come up with some very creative idea book topics. What’s your source of creative inspiration? CN: I find inspiration through reading – books and online, through music, and travel. For 12 years, Charmean Neithart Interiors has provided full-service, residential design services for a varied and loyal clientele throughout Southern California. 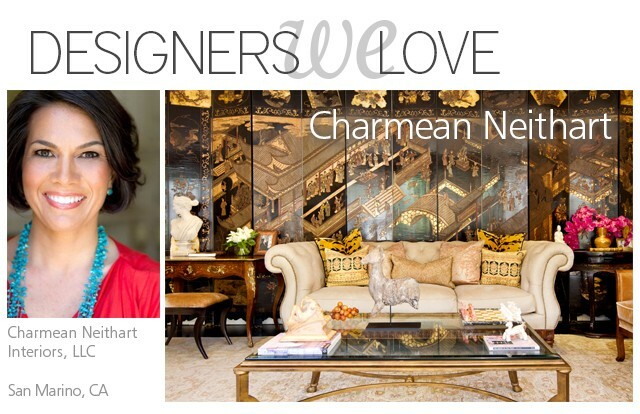 Charmean’s love of design, paired with her instinctive sense of style, has led to the creation of beautiful spaces that reflect the unique personalities and lifestyles of her clients.